A report by Quest Alliance in support with Tandem Research and Microsoft Philanthropies reveals what are the core skills and how they will allow for the development of meaningful and sustainable career pathways. What if we tell you that many jobs would no longer be available in near future and many others would be transformed anew? This era of rapid digitalization and advancements demands upgradation into latest technology and skill sets in order to stay in the competition. 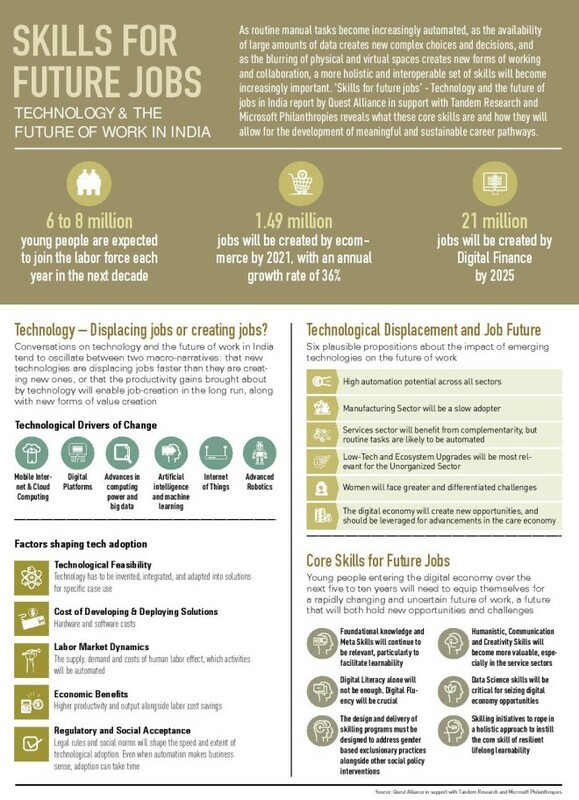 Quest Alliance in partnership with Tandem Research and supported by Microsoft Philanthropies, released a White Paper which talks about the importance of the skill sets required in India and how enhancing the quality of training would take your career a long way. You can download your copy of the full white paper here.